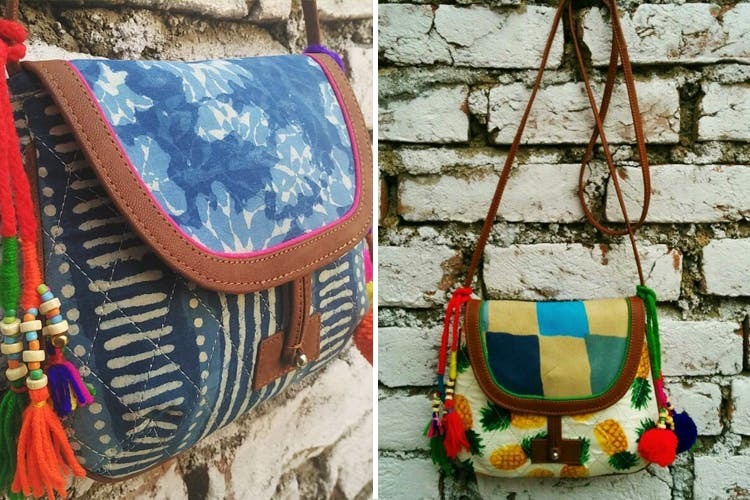 Threadcasa, a young Indie brand, combines Indian handcrafted prints and contemporary bag designs like a dream. Using a variety of Indian prints includes mirror work, phulkari prints, block prints, ikat and even tie & dye, the bags by Threadcasa are cute, functional and bear to be repeated. The designs come in sizes a many: a tote that you can stuff unto death for work, a crossover bag that works for just a book and the necessities and clutches. We have fallen in love with their Kalamkari and Indigo slings. These are priced at INR 1,400 each. They even have yoga bags, dupattas and running fabrics in gorgeous prints, so check them out already!